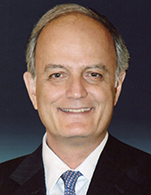 Mr. John Platsidakis is a Director of the Angelicoussis Shipping Group and Managing Director of Anangel Maritime Services Inc., the management company of the Group's dry cargo fleet. He joined the Group in 01/1989. Prior to that, following his university studies, he joined Bank of America in Athens, Piraeus and London being engaged in ship finance. He resigned the Bank in 12/1987 with the title of Vice President and joined Marmaras Navigation Inc. in Piraeus as Finance Director until 12/1988. John studied Mathematics (B.Sc.) at the University of Thessaloniki, Greece, Operational Research (M.Sc.) at the London School of Economics, UK and Economics and Econometrics (M.Sc.) at Southampton University, U.K. He is a member of the Executive Committee of Intercargo since 05/2002 and its Chairman since 10/2012, member of the Council of Intertanko since 11/2007 and Member of its Executive Committee from 11/2009 until 11/2015, member of the Board of Directors of the Hellenic Chamber of Shipping since 02/1994 and member of its Executive Committee since 02/1998, and member of the Board of Directors of the Union of Greek Ship-Owners since 01/1997. John was the founder of the Society of the Greek Alumni of the London School of Economics in 1980, served as its President from 1980 until November 2005 and was member of the Advisory Board of the Hellenic Observatory at the European Institute of the London School of Economics from 12/1997 until 01/2006.